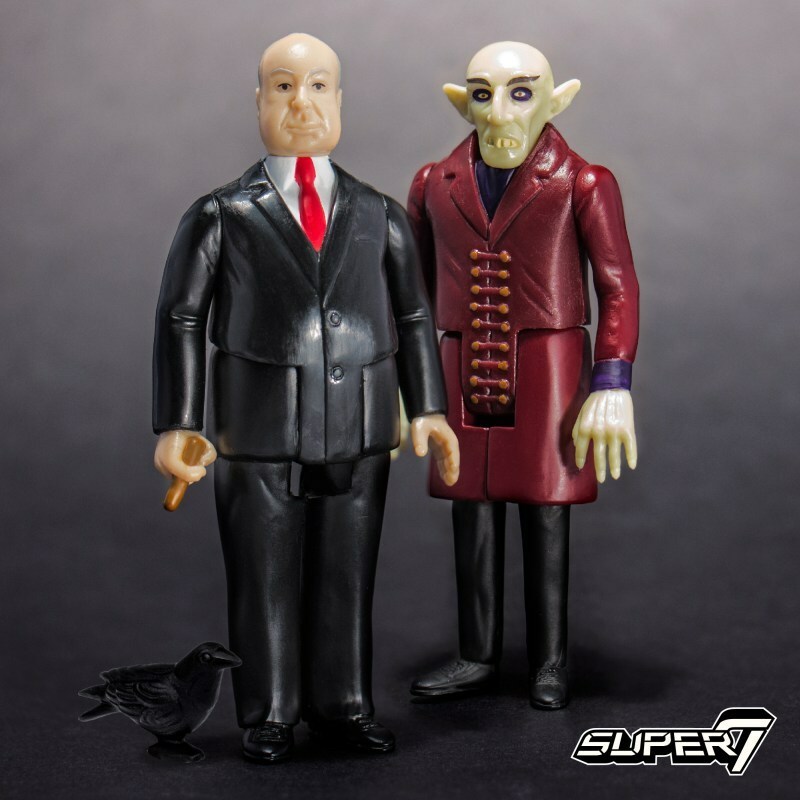 After earlier teases, Super7 unveils who exactly where their “Halloween Series” ReAction figures to be unleashed in December: “ALFRED HITCHCOCK” and “COUNT ORLOK” (from the classic “Nosferatu”)! Both 3.75-inch tall articulated figures will be available online in the Super7 webstore and at the Super7 stores in San Francisco and San Diego from December 6th, 2017. 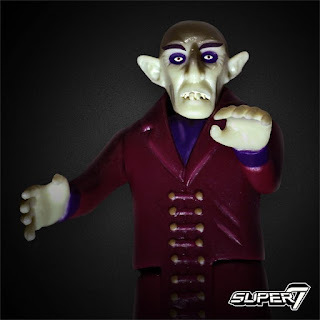 No specific pricing mentioned at time of this post, but presumably a standard US$15 per blister-carded figure, perhaps? This is a decent opportunity to procure a "Alfred Hitchcock" collectible without busting the bank, and a pretty decent likeness too, IMHO! Just in time for "Christmas", perhaps? 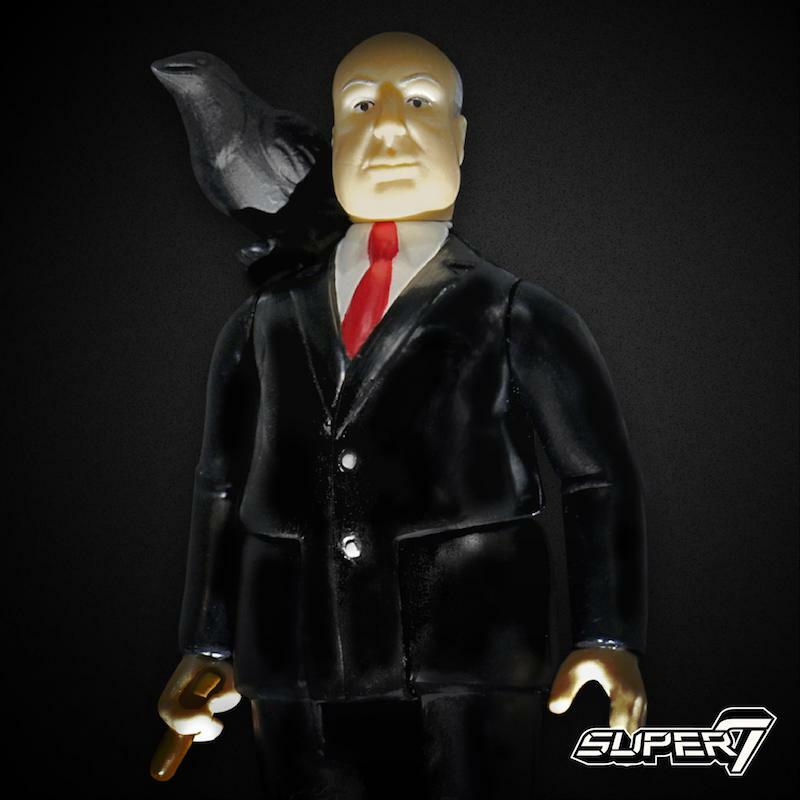 Along with a DVD of his film (I'm sure folks'll appreciate a "Box Set”, yeah? ).